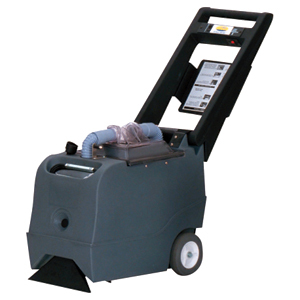 Pacific Triumph 430 Carpet Extractor Extractor Pacific has the perfect answer for cleaning smaller areas. Our 430 model features a 12" cleaning path, 4-gal. solution /3-gal. recovery tanks, reverse vacuum motor for cooler operation, powerful 60 psi pump, pictorial operating instructions and cord wrap on the folding handle. This small but powerful extractor is highly reliable and ideal for rental applications. * Please call us with any questions about our carpet cleaner triumph rentals in Cleveland, Parma, North Ridgeville, Strongsville, and Cuyahoga County.